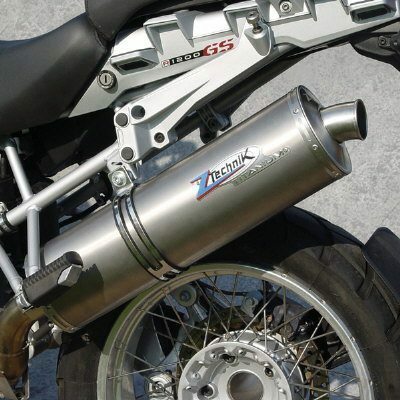 The R1200GS sets the new standard for adventure touring bikes, and ZTechnik raises the standard for performance and fun with the new Z4042 Titanium Exhaust System. Experience decreased weight, increased horsepower, and an attractive, aggressive look to your machine. Same as stock, but 7.3 lbs. lighter.